The CurbVault® from Mail Theft Solutions, Inc. was designed to protect your mail from the moment that it is delivered until you retrieve it. The 3,200 cubic inches provide ample storage room, so you do not need to worry that someone may notice that you have not picked up your mail for several days. Once mail or other valuable items are deposited into the CurbVault®, they fall to the base where retrieval can only be made by opening the rear door with a key. No key is needed to re-lock. Simply slam the door shut. The non-rusting galvanized steel and a strong lock combined with proper engineering prevent intrusion by even the most determined thieves. With mail theft becoming an increasingly significant problem all across the country, it is important to take proper steps to protect both your mail and your identity. Identity theft is said to cost victims more than $600,000 each day; and once the ramifications of identity theft are taken into account, this amount can dramatically increase. Identity theft can be detrimental to your credit rating--as well as a nuisance--and can wreak havoc on your current financial situation. Brick and stone enclosures have been banned in many areas of the country, due to vehicular collision hazards. When using the CurbVault®’s hidden in-ground mount, which meets D.O.T. specifications, most areas banning such enclosures do allow the CurbVault®, since it will pull away from the ground upon severe impact. The mount is always included with the CurbVault®, although a concrete pad installation is an option as well. Both are covered in the CurbVault® Owner’s Manual, which is also provided. When it comes to price, there is not much of a difference in cost to have a brick enclosed mailbox vs. the CurbVault. 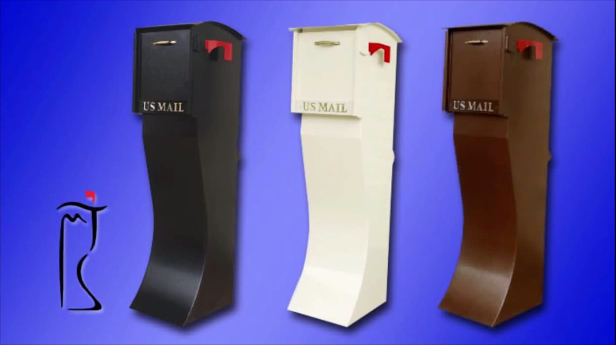 The CurbVault however offers a sleek, modern look and excellent security against mail theft. We offer volume discount programs for builders and developers.